We have Zach LaVine/Lauri Markkanen, and now new sensation Otto Porter Jr., but Bulls lack veteran skills other than from Robin Lopez(and he's a free agent). There's constant rumors that the Bulls plan on getting rid of Kris Dunn, but this is a good reason Bulls should consider signing Derrick Rose despite the fact Zach's been the hero the last two seasons. Rose missed out back-to-back seasons with the Bulls, but lately he's been on top whether he's been with the Cavs, Knicks, and now with the T'wolves. Sam: There's been an ongoing and lately more so debate about Rose even though he's not a free agent until July. His documentary/biography film "Pooh" was released by https://watchstadium.com/ Thursday to good reviews. His agent B.J. Armstrong was in Chicago this week for the preview and did the media rounds talking up Rose interest. Of course, that's his job with 30 teams for his client. OK, maybe not Utah. Still, Rose is from Chicago and as it showed dramatically in the film, he was devastated to be traded from the Bulls. There's much sentiment that Rose became such a polarizing figure with his injuries and some misinterpreted comments that there would be too much focus on Rose and that his injuries, which are inevitable to some extent after playing 51 games this season, would place too much focus on him and be a distraction for the team. 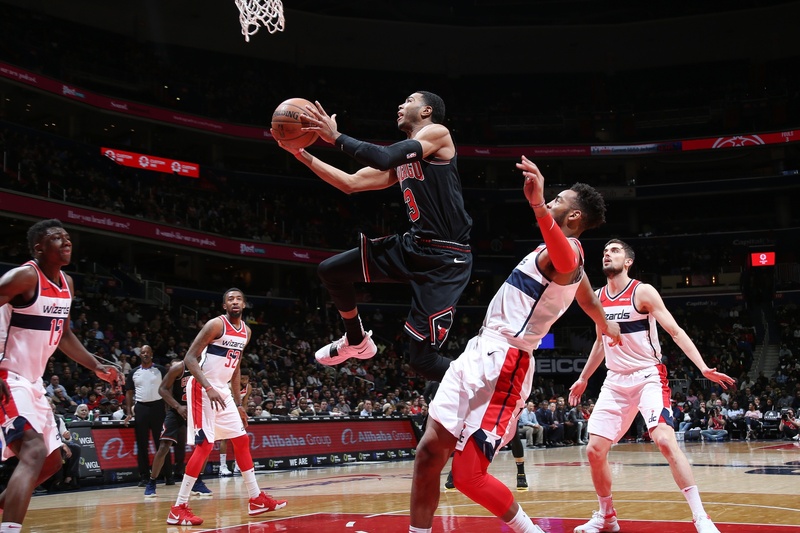 But as John Paxson emphasized at his post season media conference Thursday, some of the primary Bulls priorities are an upgrade at point guard, a respected veteran and wins. Rose amidst all the suggestions he was finished did average 18 points in New York and 18 for the Timberwolves as a reserve. He can score, can make big shots and produce big games and is one of the most respected players in the NBA for his success. The Bulls have some talented players, but no one with any real accomplishment. If the finances are right, it just needs to be presented correctly to work: Rose will come off the bench, he will play 50 to 60 games (with the new load management schedule, for example, Kawhi Leonard played 60 games and the Raptors were thrilled) and you have a finisher who has been there, which takes the pressure off all your guys who haven't. After these last two seasons, it would seem the Bulls might have to take some risks. I will add for full disclosure that I helped Rose with his autobiography "I'll Show You" that comes out this fall. Though he has not asked me what he should do, suggested I promote him to the Bulls or told me what he wants to do other than continue his career. He's pretty stubbornly proud, as I discovered. 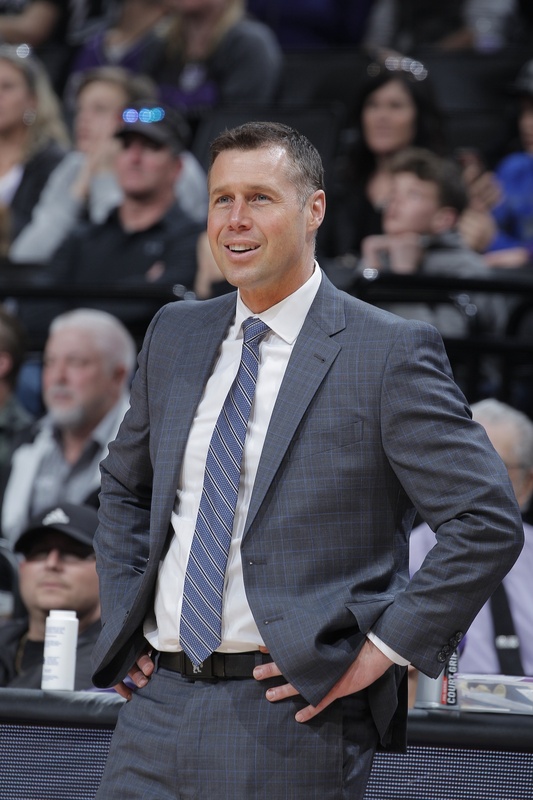 Dave Joerger has had two straight jobs where he seemed to clearly over-achieve, and two straight jobs where he was ousted in what seems like a power play. I'm also guessing it'll be two straight jobs where the team will take a step back after he leaves. As a Bulls fan watching our post-Thibs coaches, I envy that. What do you hear of him? Sam: That he doesn't always play well with others. I know everyone looks at on court results with a coach, which is understandable and reasonable. But it's a little like that handsome male or beautiful female movie star who is divorced. You can't believe it. But you also have to live with them, and on the outside you have no idea what that is like on the inside. A team and the executives have to live every day with the coach, and if the relationship isn't good, it makes it a very long year and a very unpleasant life when it should be the world's greatest job. I don't know specifics and don't know Joerger, but his reputation way back when he replaced Lionel Hollins was the way he manipulated his way into that job and then manipulated his way out of Memphis for more money and control, and perhaps the extension for Vlade Divac this week was also the message to the coach. The internal workings of a basketball team tend to often be like your household when relatives are visiting for a long time. It's why change is the given. Don't know why I thought of this – but who are the 5 greatest NBA 6th men of all time? My answers are off the top of my bald head without any prior internet lookup etc. In no particular order – Lou Williams, Jamal Crawford, Vinnie Johnson, Billy Cunningham and Cazzie Russel! 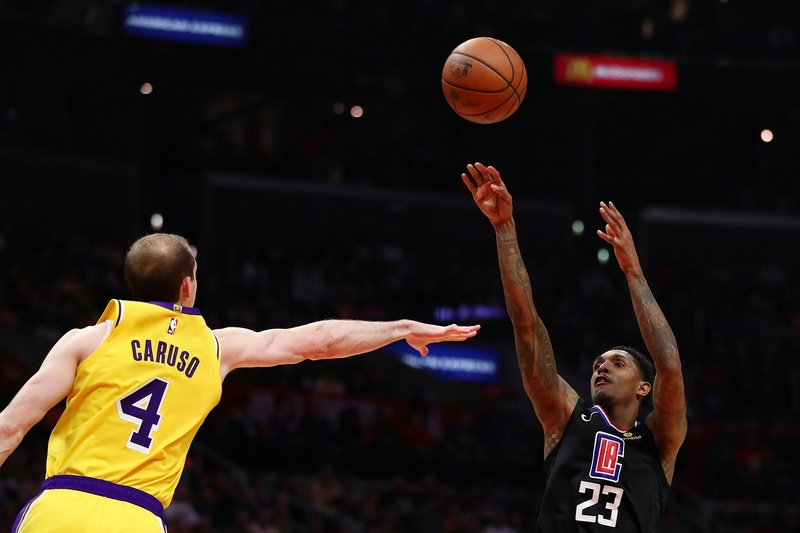 Sam: This gives me the opportunity to continue my rant about why Lou Williams should not be the Sixth Man winner even though he'll be almost unanimous. He's not a Sixth Man! Yes, I know, he comes off the bench. But he leads the team in shot attempts, he plays more minutes than some of the starters and about three minutes fewer per game than the team leader. He closes all the games and is the go-to scorer. The sixth man was invented by the Celtics and Red Auerbach with Frank Ramsey. John Havlicek probably was the best, but he wasn't the high scorer then like Williams; perhaps fourth or fifth because that was the role. Kevin McHale had some great Celtics seasons off the bench as well, and your choice Jamal became almost the classic the way he (at first reluctantly) embraced the role. Cazzie, a forgotten Chicago great, was a reluctant sixth man, also, when Bill Bradley beat him out for starter. But I recall his best scoring years were starting with the Warriors. Vinnie had the best nickname, and I liked guys like Ricky Pierce and Chicagoan Eddie Johnson. I'll add a personal favorite, Manu. Lou Williams is the sixth player into the game; he is not a Sixth Man! OK, I'm relaxing again. Okay, I've been a loyal and patient fan. But when the coach leads the team to the 4th worst record, you give him a three year extension? What's that say to me as a fan? Sam: Trust us? Be patient? 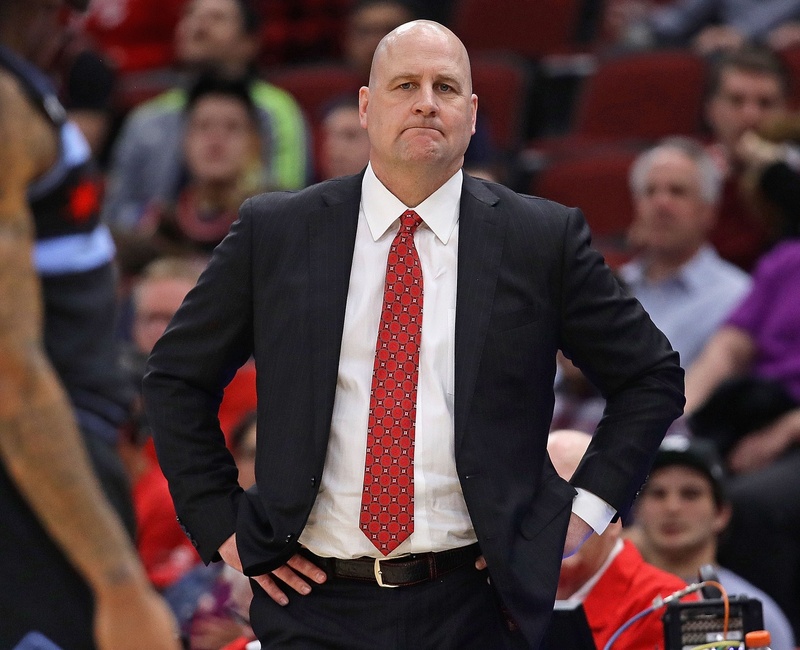 The Bulls seem very high on Jim Boylen, and as I recall there were a lot asking me for change from Fred Hoiberg. So they made a change, and you really can't judge anyone off an interim season even if they didn't call it that. Let's see a training camp, a full season, a full roster and a complete philosophy. The extension talk is a rumor. Paxson said at the media session Thursday an extension is possible and something that is only being discussed for now. And you certainly wouldn't want to judge anyone on the roster players Boylen had to employ for the last month. Really, moving on from a coach after that would be the unfair part. Like Boylen, I'm excited about the Bulls' future prospects. And I like his desire to be an inspirational leader, and I have no doubt he'll work them hard to get into better condition. But a lot depends on his (and his staff's) ability to teach the kids better fundamentals, teamwork & discipline. Aside from skill & athleticism, that is what you see from the best teams. They make the game easier for themselves and more difficult for opponents, not only by ‘faster, higher, stronger', but by making the right plays. I actually like Boylen's Rah-Rah attitude, and of course I'm pulling for him to succeed. Objectively, I'm in wait-and-see mode. Is he the right coach to mold these youngsters into a team? I guess we'll find out. Sam: See, another reason to keep watching, eh? Have you seen sufficient development by Harrison to envision him as a starting PG along with LaVine, Porter, Markkanen, & Carter next season. Seems that his merits are defensive pressure on opposing PG & not requiring the ball that fits well with LaVine's strengths / weaknesses. The other 4 seem sufficient for playmaking. LaVine & Harrison seems analogous to Irving & Smart as one guard of the pair requires the ball (& is a high volume scorer) on offense & the other for defense. Seems that Dunn does better on floor without LaVine - not sure what stats show - but let him have the ball for the bench squad to set up Valentine & Hutch & Lopez (hope that he is back) Do not think that Bulls should "reach" for a PG in draft if a better 2 or 4 is available. Do not want a 3 or 5 to be drafted. Sam: Still, at 22 wins I don't know if you draft by position, but I'm getting the sense the Bulls unless it's a young star don't want to have to teach another teenage point guard and will look for veterans. Sorry, but Harrison isn't a point guard. I guess if you are looking for defense mostly, you stay with Dunn. Though Harrison does work at it harder. He just doesn't see enough guys with all the dribbling he does. He could be a keeper toward the end of the roster like with Arcidiacono. Though I don't see the Bulls retaining many of the players they finished the season with. It's an interesting comparison with Smart, but he is really tough and brutal and scares the heck out of guys. You just admire Harrison for how hard he tries. 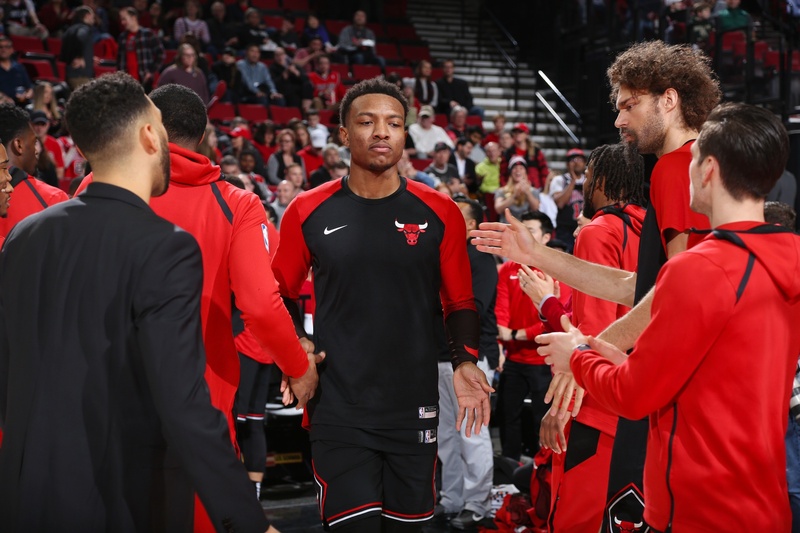 I like Wendell Carter and I think he will help the Bulls become a better team. But as I watched him play, he looked so small up against other teams' big men. Does he figure to become a 4 instead of playing the 5 as he did this year? Sam: That question was raised to Paxson Thursday, and he seemed satisfied that with the way the team wants to play with more tempo, with Wendell's age and inexperience but strength and bulk, that he will be able to play center. Paxson didn't say it, but more like Boston's Al Horford, whose quickness and shooting has enabled the Celtics to have a winning record against the 76ers and Embiid. Robin Lopez' fate and destination as a free agent is uncertain and Felicio is suited for third team. So I also can see perhaps a second round pick on an athletic big man with size to work in as backup center. Paxson did say they'll use lineups that have the seven-foot Markkanen at center some and thus able to switch with Carter. It should work. It saddens me when everything does not go exactly right for the Lakers like it's always supposed to. Magic has been so good at kissing everyone's @** for 40 years so it's very unsettling when he's not looked upon favorably. Is it possible the most beloved franchise in the history of the universe is about to fumble away LeBron's final years? Can't we find a way to blame LeBron and Rob Lowe for this so Magic can have a soft landing and still mentor people and smile at us? Sam: Now that's the type of post season sarcasm that makes this all worthwhile. Hey, maybe Luke will outlast Magic. This isn't a big surprise if you have followed Magic's career. He fought his HIV as bravely and fiercely with as much dignity as anyone. But he also has always liked being the world's ambassador. So when his TV show or his coaching got bad reviews, he left pretty quickly. And so his Lakers were also with some trades not looking very good. 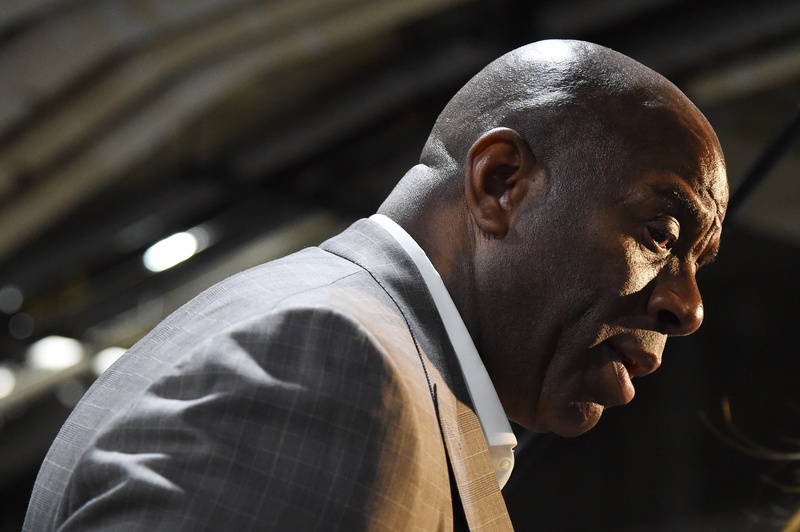 There was the Anthony Davis fiasco when he suggested how the Pelicans dared try to get a good deal instead of helping the Lakers. And there was his Jordan-like management style like when Jordan was Wizards general manager from the turn at Congressional. And this is not a pretty place internally. After all, this was where the sister fired the brother, and they always seem to delight in blaming and firing locker room attendants, press staff and trainers when things go badly. Magic did get LeBron, which was a coup even though it was more about location, location, location. And when you have LeBron, LeBron is in charge of most everything, except fault. It doesn't always work. Jordan missed the playoffs both seasons in Washington. His legacy didn't suffer. LeBron's won't. And it may not work since it is about recruitment now, and the Lakers mired in dysfunction and losing and LeBron assuming only credit doesn't look like such a great destination. The irony is this is when Magic would be most important, as a recruiter because of who he is and his magnetic personality. No one even is quite sure who is Rob Pelinka, who supposedly was Kobe's recommendation. Though Kobe wants no part of office hours. 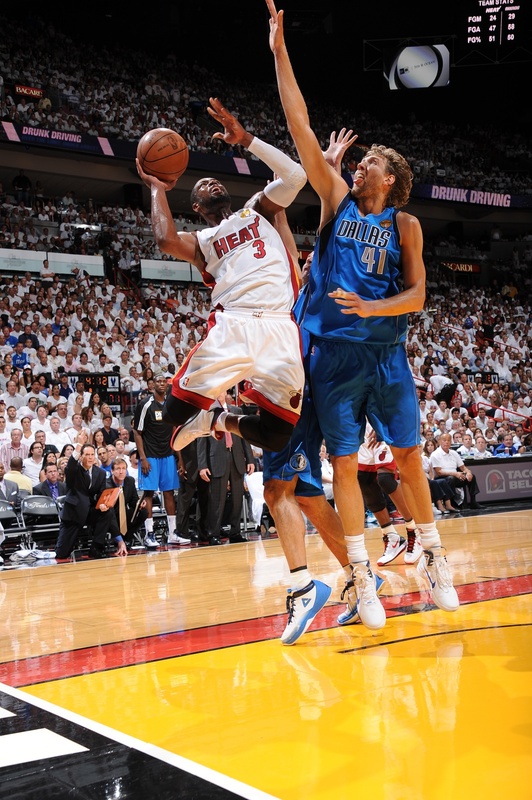 Great to see both Dirk and D-Wade go for 30 each on their last home games. In your opinion, which of these legends has had a more valuable career for their respective franchise and/or the NBA itself? Sam: This has become a tough one for me because we had the Bad Wade that one season with the Bulls. Wade came into the NBA as one of the better people and leaves this season as seemingly a very good guy. But he couldn't have been more of a pain that season with the Bulls. He was fine to talk to with media, but was so internally disruptive with the team, looking down on the young players, separating himself from most everyone but Butler, trying to drive off Rondo and dictate lineups. And then when needed most with Rondo out in the playoffs basically giving up. I'd say Wade was the better player, that if I were choosing teams like they do for the All-Star game now I'd take Wade first as a more versatile and special talent. And it was to his credit the way he sacrificed to accommodate LeBron after actually Dirk led a bad Dallas team to one of the great Finals upsets ever over Not Four, Not Five, Not Six...But as far as historic, I go with Dirk. Not just for his scoring in the all-time top 10, but before Dirk the NBA didn't take European players seriously. Heck, the Bucks swapped him for Tractor Traylor on draft night. Even after Drazen Petrovic began playing at an All-Star level, I recall players joking about European showering habits. European and international players who didn't attend U.S. colleges were still looked on as role players. Dirk showed they could be stars and team leaders as the first of those guys. He took plenty of abuse and was doubted plenty, but he paved the road for the likes of Peja, Yao, Pau and Manu. He endured and is one of the historic figures of the game. Here's hoping we get lucky in the draft, though I'm not sure what that good fortune would look like. I'm afraid that Zion will not be as effective playing nightly against teams with experienced players who will often be much taller and almost as athletic as he is. However, I do love his approach, his athleticism & his vision/court sense. This kid's feel for the game is very impressive. I like Barrett but he needs to become a better shooter in order to become a big time 3&D wing in this NBA. Though I've only seen him played in 5 games I love Ja for the Bulls. 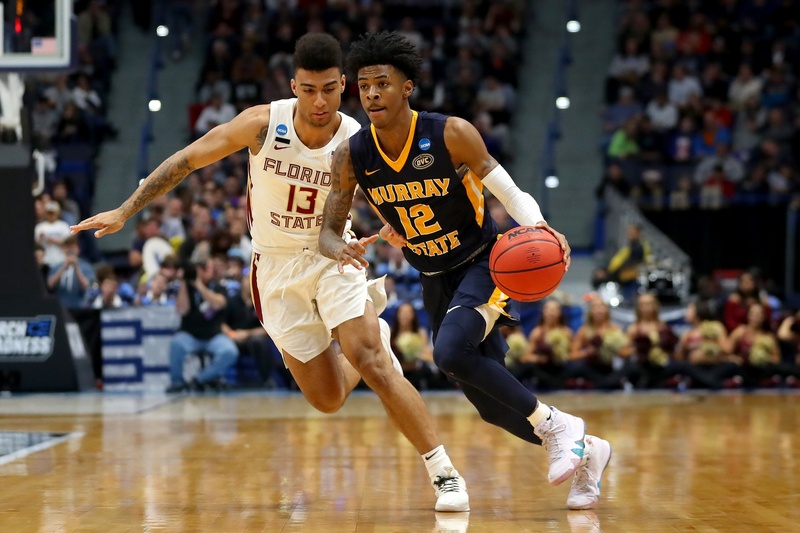 I can envision a huge upside for Morant. Sam: That seems to be the draft order, and then, unfortunately, your No. 4 could be someone else's 15. I believe Zion will be bigger box office to start than anyone since LeBron, and teams are a business, as we have been told. He'll be good. How great? Let's say good enough to be everyone's No. 1. The most interesting thing you hear now is that if a team like the Knicks or Lakers get No. 1, they'd trade it for Anthony Davis, and then be in position to lure multiple All-Star free agents for an instant Big Three Plus. I'm not sure of the salary match possibilities, but also with a limited top of the draft, we could see more draft trades this year than ever since lottery picks rarely are traded. This is going to be yet another wild July. Are the playoffs over yet?